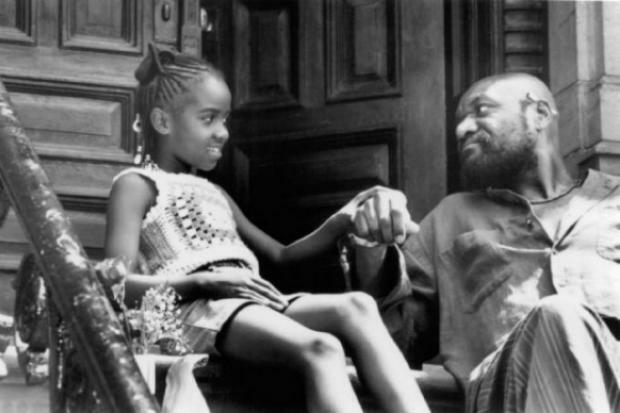 BEDFORD-STUYVESANT — The 1994 Spike Lee film "Crooklyn" is the tale of a 1970s Brooklyn family. The setting for the film included 7 Arlington Place, a Bedford-Stuyvesant brownstone where the working-class family of seven lived. Fast forward to 2013, and 7 Arlington Place is no longer the symbol of modesty it once was: the brownstone recently sold for $1.7 million, in what the house's realtor said could signal a new normal for Bed-Stuy real estate. "Normally, I would say, things go over asking," said Jerry Minsky, of Douglas Elliman. "But not to that extent." After a lull in 2012 post-Hurricane Sandy, Minsky and others said the new year has been a boon for Bedford-Stuyvesant real estate. Since January, homes in west Bed-Stuy have closed upwards of $1.5 million. And those prices don't show signs of coming down soon. "This is going to be around for a long time," Minsky said. In addition to the "Crooklyn" house, a three-story building at 44 Monroe St., just east of the neighborhood's Classon Avenue border, was on the market for nine months before the new year. In early 2013, that house closed at $1.6 million. Soon after, a cash buyer bought 266 Clifton Place, also for $1.6 million, Minsky said. Then came 7 Arlington Place, a house that Minsky said needed significant work. Anticipating a tough sell, Minsky decided to set the price lower than what the seller wanted, at $1.3 million. The property closed in four days, $400,000 above the asking price, with a majority of offers coming in cash. "There were a multitude of buyers, some who required mortgages, some who did not," Minsky said. "My client took an offer that was extraordinary." Minsky would not confirm whether the eventual buyer paid with cash, but added that this shift to cash offers is a probable bank correction, after risky mortgages helped lead to the "housing bubble," and ultimately, the recession that began in late 2007. With fewer mortgaged homes, the market has become more resistant to volatility, Minsky said. That, in turn, could lead to homes that will only grow in value. "It's weeding out people with bad credit and low down-payments," Minsky said. "If the bank is not as accommodating in mortgage financing as they were prior to the Lehman collapse, what happens is people with other means step in." Minsky isn't the only observer to have noticed the increase in prices. Real estate agency the Corcoran Group recently began leafleting the neighborhood with fliers soliciting business, as Brownstoner previously reported. The fliers, from saleswoman Shameika Wade, boasted a December closing of $1.3 million, but said prices are only going up. "Since then we've seen prices in the neighborhood as high as $1.8m and none of this has slowed demand in the least," the flier read. "Open houses see upwards of 100 people with lines down the street and only 1 lucky bidder can buy!" But some observers are more cautious about the influx of money into the neighborhood. Affordable housing advocates like Bridge Street Development Corporation, a Bedford-Stuyvesant nonprofit, worry that the increase in housing prices will force longtime residents out of the neighborhood. "I think about the early 90s when I was a new college graduate and I saw what happened in Fort Greene and some of the other neighborhoods," said BSDC President and CEO Emilio Dorcely. "I'm seeing the exact same thing in Bedford-Stuyvesant." To help create more opportunities for homeowners in Bed-Stuy, Bridge Street reaches out to homeowners and prospective homeowners. On Saturday, the group is holding an outreach program called "Fresh Start Home Resource Expo," in which housing experts will advise locals on mortgage, foreclosure and credit issues. The organization has also worked on creating new affordable housing in the neighborhood, like Joshua Court at 300 Putnam Ave. and Noel Pointer Court at 790 Lafayette Ave. But as Bed-Stuy continues to gentrify and developers begin to focus more of their attention on the neighborhood, it's become harder for groups to find space for affordable housing. "If you would have walked around the neighborhood maybe 10 years ago, you would have seen a high number of empty lots," Dorcely said. "Now you're hard pressed to find a lot that's not already slated for development." That fear of displacement is understandable, Minsky said. "The amount of cash volume I saw go since January, post-Hurricane Sandy, is unprecedented to me," Minsky said. "You're going to see vast demographic shifts that impact socio-economics." But higher housing prices have also given longtime residents new opportunities, the broker said. In the case of 7 Arlington Place, for example, Minsky said the owner was selling his house out of necessity. Now, he's nearly $2 million richer. "He needed to do what he had to do," Minsky said. "It really, truly made a difference in this man's life to have his house sold." While Dorcely recognizes that higher home values are also a reflection of the neighborhood's continued improvement, the hope is that groups like his can help provide a safety net for middle-class families. "These are all positive things," Dorcely said. "We also want to make sure, as those positive things happen, we balance that with the need for affordable housing."